I’ve enjoyed watching Joel Edgerton elbow his way in Hollywood, and I think that cinema is all the better for it. He started with odd roles in odd movies: a young Uncle Owen in Star Wars, Gawain in King Arthur, Hugo in Smokin’ Aces. But it wasn’t until 2010 that, at the age of 37, he began to make his mark. Warrior, The Thing, Wish You Were Here, Timothy Green, Zero Dark Thirty, The Great Gatsby, Exodus; the roles started pouring in, and Edgerton made the most out of every opportunity he seized. Now, with The Gift, he’s both starring & directing, his first attempt at getting behind the camera of a feature film. His talent is unquestioned, his momentum is unstoppable, and apparently his vision as a director is just as good as the rest of the package, because this movie shines as the thriller we’ve all been waiting for. Simon & Robyn have just moved from Chicago to California for Simon’s new job, but also for a change of scenery after a lost pregnancy and a few domestic missteps. This is their chance to start fresh, and they aim to do it in a nice house, with nice careers, and a pleasant future on the horizon. But a random encounter with an old schoolmate named Gordon will stop all of that from happening. Gordo & Simon went to high school together, haven’t seen each other for years, and have a past connection that at first isn’t clear. It begins to come more & more into focus, however, as Gordo comes ’round to house quite frequently and Simon becomes agitated by Robyn’s question about the past & concerns about the future. Gordo is an unwanted dinner guest, a bearer of bad gifts, and a catalyst in what quickly becomes a less than idyllic life. The Gift is one of the better thrillers you’ll see, not just this year, but ever. It’s a thoughtful piece of frightening film that plays upon the emotions of the audience more than it makes us jump, leaving us terrified, yes, but not with blown out startle reflexes. Any thriller that can do that, that can paint a picture without needing a butcher knife-wielding housewife to make the scene, deserves our respect. And it’s not like the movie didn’t go there, it ran right up to the edge of the classic thriller and stopped, holding itself back from becoming cheesy or cheap or predictable or typical or any of the bad words of the genre. Edgerton succeeded in taking a tricky plot (which he wrote, by the way) and layering it in such a way that audiences were mesmerized the entire time, scaring ourselves with our own imaginations more than anything else. But it couldn’t have been done without a great cast, a team that really only consisted of three actors. Edgerton himself was the problem that needed fixed, the character that precipitated the need for action. And in that role, we was great; creepy, sad, believable, and worthy of empathy. 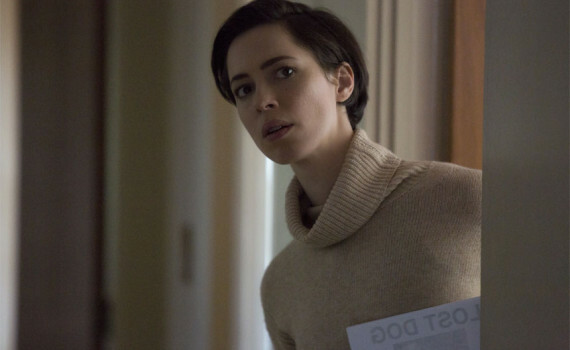 Rebecca Hall, who in all ways was really the lead, gave us a very troubled main character, an imperfect hero, someone we could root for and understand because she was so very relatable. 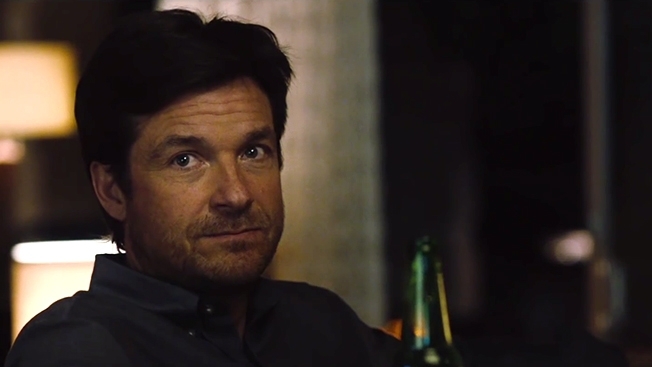 But the steal-the-show award has to go to Jason Bateman, who was so outside his comfort zone, playing a part that was so atypical of him, and succeeding in every way possible. The trio was excellent as a unit, the film flowed perfectly, and it quickly became a thrill-ride that you couldn’t possibly turn away from. I hope Edgerton plans to keep on directing; I’ll gladly keep on watching.